Radiant heat, also known as an in-floor heating system, can be a luxurious-feeling solution for a chilly space in your home or a smart overall strategy for heating your entire house. It’s an often-requested upgrade for new homes, so it may also help close a deal for those looking to resell or flip a property in a market with demanding buyers. Here’s more about when, where and how to use a radiant heat system. 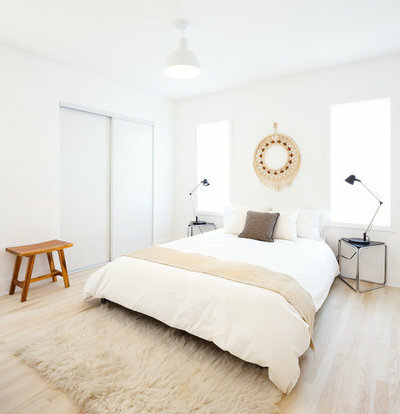 One of the biggest advantages to radiant heating is the fact that it plays against the natural tendency for hot air to rise and disperse much of the heat in your home into the space overhead where it isn’t needed. Heat being emitted from the floor slowly drifts up into the room over time, rather than being rushed in via hot air, for a better distribution of heat. Plus having toasty feet helps you feel more warm, so overall you need to heat your house less to be comfortable. This is especially important in a tall or big room with a large amount of open airspace overhead. 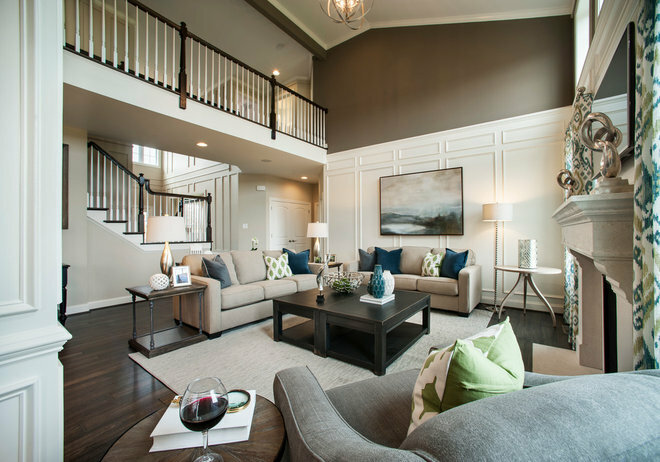 That high ceiling may look beautiful, but heating all that air can waste a lot of energy that could be used more efficiently. By heating the lower half of the room more, and the top half less, the heat is put where you want it —and with less of it showing up on your monthly bills. Why doesn’t everyone use radiant heat all the time, then? First, it can definitely be pricey to install. 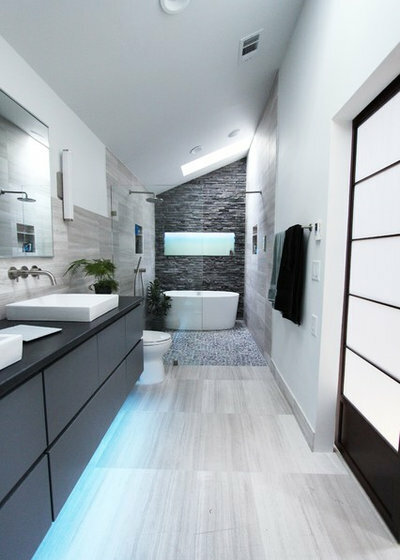 You can expect to spend $4 to $6 or more per square foot on top of your other flooring costs, which can add up if you’re looking to upgrade your whole home. Also, radiant heating is much less effective under materials like carpet that insulate the heat from entering the room, so if you prefer a lot of cozy carpet, radiant heat may be too inefficient to be worth it. 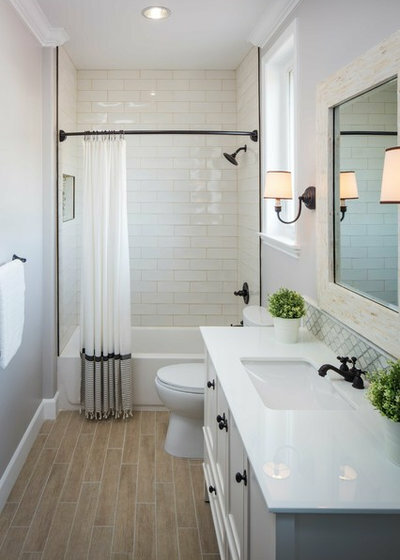 This is why radiant heat and bathrooms are so often a match made in heaven. 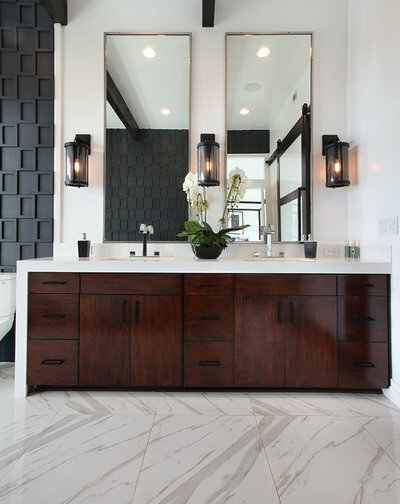 The flooring materials typically used in bathrooms (such as stone and ceramic tile), which otherwise can be chilly to bare feet, are the exact materials that will radiate heat efficiently from the heating system to keep toes warm. 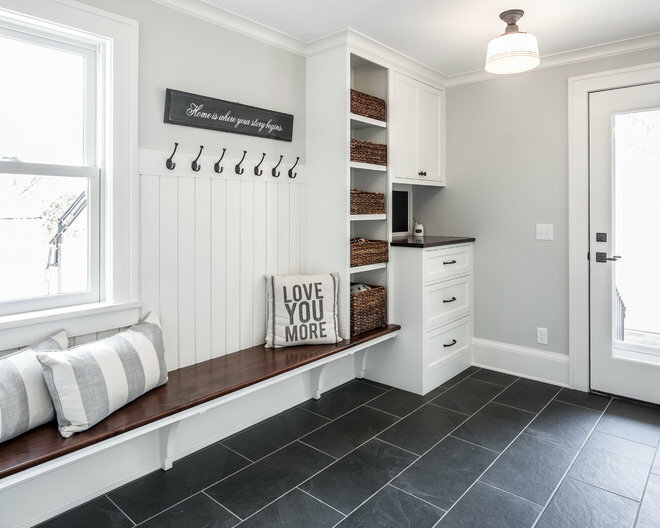 Entries like mudrooms or foyers are other places where naturally conductive tile is frequently found, and a radiant heat system here can give you an extra-pleasant experience of coming home every day. As soon as you kick off your shoes, you can immediately start to enjoy the toasty comforts of home. 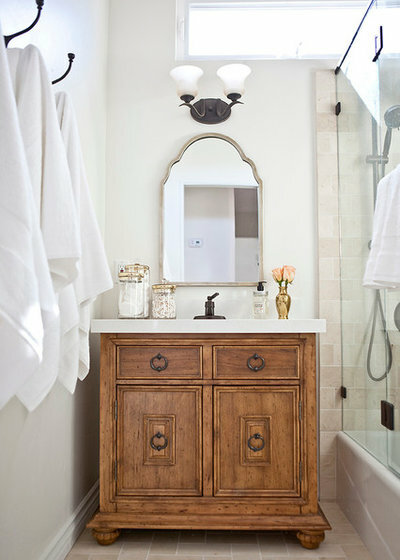 In other rooms where stone isn’t common, a wood floor is a reasonable compromise. 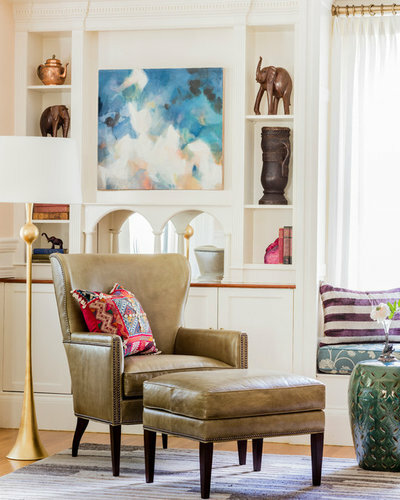 Save the area rugs for smaller accents, so the heat can mostly transfer into the room unimpeded. It is typically possible to install a separate heating loop for carpeted areas — one that will pump in more heat. Ultimately, any flooring material can be heated this way, but it just may add more to your power bill than you had hoped. What System Should I Install? Radiant heat systems come in three types. The first, forced-air based (where hot air carries heat through channels in the floor), is rarely ever used in homes. The second, hydronic based, tends to be the most efficient, using hot water to carry heat through a network of tubing. The third type, electrical radiant heating, is often less efficient than hydronic heating, with one major exception (which is entirely dependent on your local power supplier). Those who live in areas where electricity is priced lower during off-peak hours can sometimes save a lot by heating their floors on an overnight timer and letting the warmth radiate slowly throughout the day. 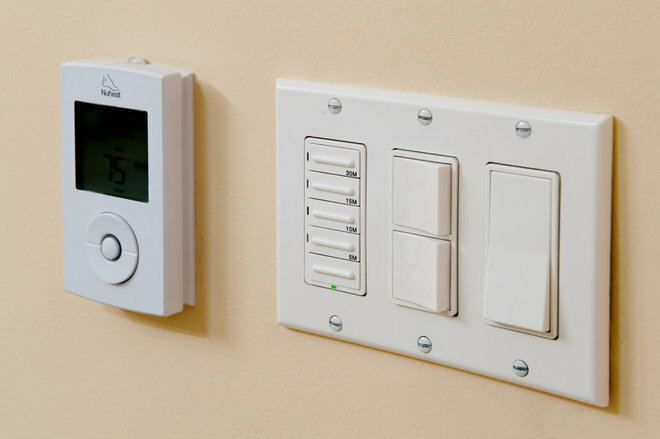 This makes the electrical radiant heating systems much more cost effective. So if your energy bill is priced like this, it’s an option worth investigating. How Is Radiant Heating Installed? Every manufacturer has subtle differences, but there are two main types of installation: wet and dry. Wet installations are embedded in concrete during the initial build (that is, when the concrete is still “wet”) or in a layer of additional concrete added for this purpose. Dry installations are layered below or above the subfloor (or sometimes sandwiched between two layers of subfloor) and below the finished flooring. Dry installation systems are newer technology and the more popular choice for new installations. They’re especially good when retrofitting a system into an existing home because they don’t require additional concrete to be poured. Do I Have to Fill a Whole Room? A popular way to use in-floor heating is as more of an accent than an all-over installation. 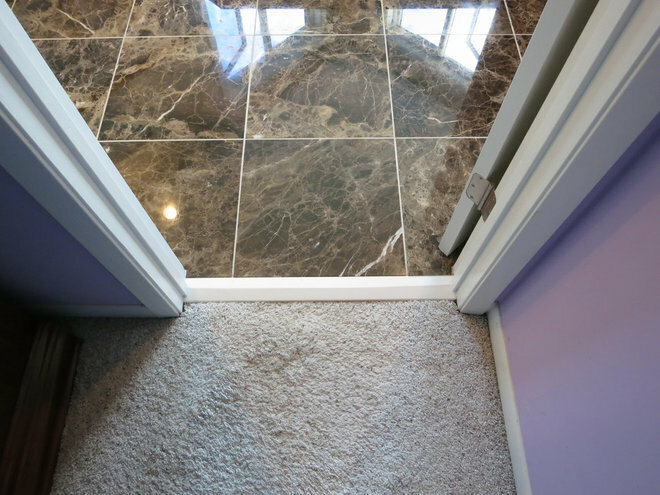 For example, heating an area around the toilet (which is often immediately next to the tub-shower) will go a long way to keeping your feet warm, and this often can be achieved with a single presized heating mat, acquired at a lower price than a full-room custom mat.For skilled DIYers, installing a presized mat before laying new tile is an achievable project with the right tools and a little research. Others choose to heat just the area in front of the vanity, to warm their toes during the daily grooming routine. This area tends to be rectangular, making it even easier to fit in a presized mat. 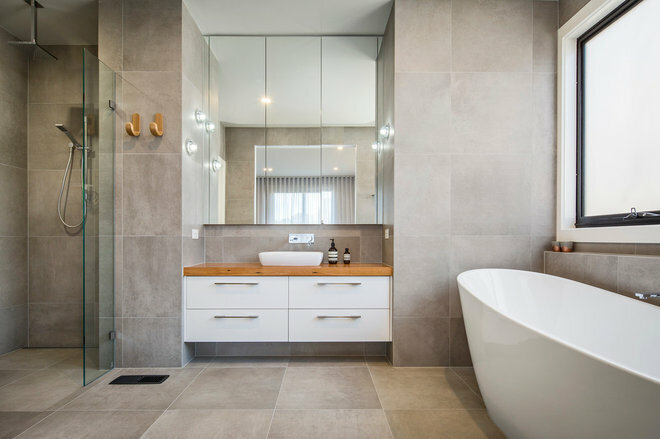 Radiant heating can be a smart way to add a sense of luxury to a petite bathroom, where there’s a small area of open floor space, as the cost won’t be nearly as high as in a large bathroom while achieving a luxe result. 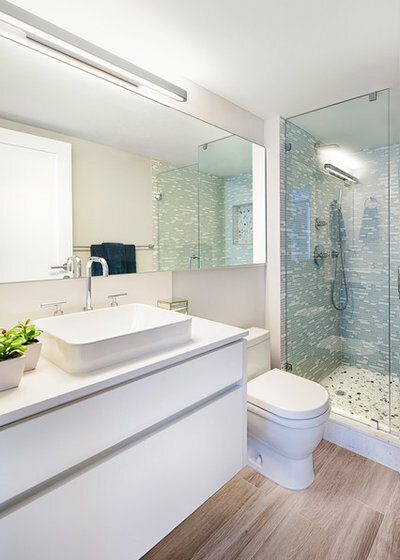 This makes it a popular investment for condos or townhouses where space comes at a premium: You may not be able to have a vast bathroom, but you still can make it feel like a private spa. How Do I Tile Over a Partial Installation? 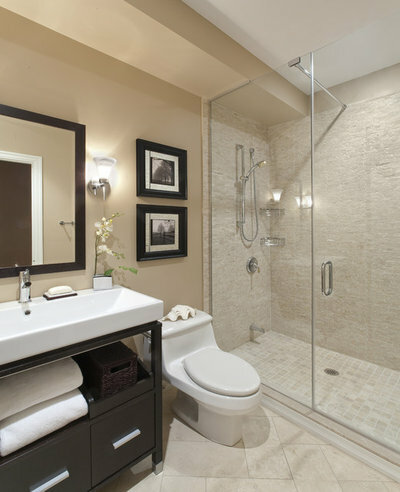 It is definitely possible to use a partial-room heated floor and then tile the entire room to one finish. However, keep in mind that, since radiant heating is permanently trapped under the flooring, it’s smart to change the flooring material in the heated area. This not only can create pleasing visual breaks in the space, but it also saves you from a potential disaster if the system fails at some point and needs to be repaired. The flooring will have to be removed and thus typically destroyed to access and repair a radiant heat system, so defining a smaller area with its own flooring finish will reduce the area that must be retiled after.